The second part of a demonstration of Clean Language moving into aspects of the Clean Therapy ™ Model for exploring, generating and engendering a Solution Focused Metaphor approach to Problems. Front Line Skills – Advanced Therapist training course begins February 2011 which include a Clean Therapy ™ certification. ChangeCamp is a day long workshop of self development workshops taking place in Newcastle on Saturday October 30th. The day consists of more than a dozen presentations on a wide range of self help / self development / therapeutic approaches. This year’s ChangeCamp features an eclectic mix of more than a dozen different self-help workshops to choose from. These workshops are open to the general public and members of the helping professions. 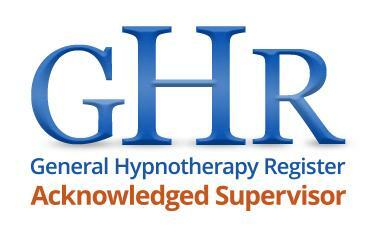 Hypnosis is a very interesting and powerful way to help people out of difficult and awkward situations. It is also a way to see and orientate towards better futures more clearly. Solution-focused Brief Therapy takes a particular interest in what’s working in people’s lives, as opposed to what isn’t. The workshop will provide a taster of the approach, some tools that can taken away and opportunities for discussion on applications of the approach..
A brief introduction to Emotional Freedom Techniques or EFT. This is a powerful, yet simple, way of relieving a great of unhappiness by neutralising negative emotions, memories and beliefs. This session will give you a brief introduction to EFT and how to use it. Life Clubs are practical and structured 90-minute weekly self-improvement workshops. Using proven life coaching techniques devised by renowned coach Nina Grunfeld, they are a fun and affordable way to gain confidence, motivation and self-awareness, and get support to achieve your goals. Ever get stuck in a problem? It’s not a nice place to be. You may not have enough options, or too many to choose from. Sometimes the world can close down around you until there is just you and the problem. This workshop gives you three ways to get unstuck. An interactive workshop focusing on the power of releasing happiness in yourself and others. Neal Anderson and Kay Cook, who have recently trained with Dr Robert Holden of the Happiness Project, will explore some of the latest thinking on happiness and success. On this workshop you’ll be guided through two different techniques to provide you with the tools to equip you through these ‘difficult’ times. Come and learn how the symptoms of non-specific illnesses are produced and how you can get rid of them or avoid them. Reverse Therapy can be used to treat conditions including ME/Chronic Fatigue Syndrome, Fibromyalgia, IBS, Anxiety and Depression but can also be used to increase well-being and improve immune function. Using EFT to reduce our reactions to irritating people and learn something useful about ourselves. Learn how to be more flexible with yourself and for yourself through the creative development of your own mental filter systems in order to be able to live life in a way that is better for you through the application of NLP techniques to your self. What could it be like if you can acknowledge and move to loving all aspects of who you are? Explorative and Experiential workshop to grow personally and holistically. The more we understand laughter, the more we can use it with confidence. This will benefit us in our lives: we can increase our own happiness, health levels and stress management, and we can guide others to gain these benefits as well. Gratitude has been known to be a good thing for many years. Now research is showing that an attitude of gratitude has many psychological and health benefits. This workshop will show you how to deepen your experience of gratitude. It is an aerobic exercise suitable for all age groups and physical ability. It is a safe environment – there is no joke telling. We fake laughter through exercises. Join in even if you do not feel like laughing for first of all, laughter comes from the body, then the mind takes over and your laughter soon becomes real and infectious. It is a great way to end Change Camp but there is also a serious side to the fun we have. The more we laugh, the more we release endorphins in our body – our “feel good” hormones. Laughter boosts the immune system. We get an oxygen boost leaving us bursting with energy as we leave Change Camp. When we want to make our life better and are frustrated that it is not happening the way we want it to be or not happening at all, there are some things we can all do to take positive action and get better informed and equipped to make the life changes we want happen. This excellent value training begins in January 2011 and concludes in June. 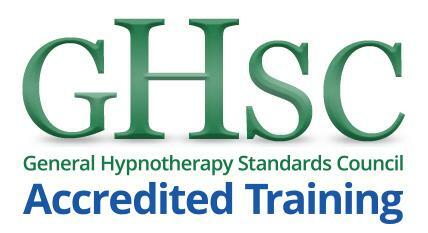 The Newcastle NLP Practitioner training course is three days Friday-Sunday each month. 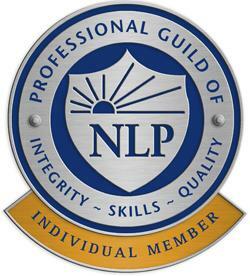 This course is certified training from the UK based Professional Guild of NLP and the International SNLP and facilitated by top north east NLP Professionals. Neurolinguistic Programming or NLP is a kind of pseudo psychology developed in the 1970’s. It has grew to massive fame in the UK largely because of Paul Mckenna’s TV shows. NLP is a successful and powerful way of running your own brain, increasing your confidence, managing your state as well as learning and developing ethical influencing and communication tools. It is also a great deal of fun in the learning! You will make great new friends and meet very like minded people. Taking an NLP Practitioner training will of course not solve each and every one of your problems yet it will give you tools you can use to take much more control of your life and generally feel much better about it. You will change the way you think and interact with others. You will learn how to get on much better with people and literally talk their language. What you will get from this experiential NLP Practitioner training. Being able to communicate powerfully will be much easier for you. You’ll have the skills to easily develop rapport with anyone you meet. You will be able to recognise and speak other people’s inner language. We all communicate in ways that very persuasive to us but below the level of conciousness. You’ll be able to tune in, see where they are coming from, make contact with people in new ways. You will be able to change the way that you think. It ain’t what you think, it’s the way that you think it. Subjective experience has a structure, learn how to change the structure and you change the experience..
‘You will learn how to have your unconscious mind work for you instead of against you Sometimes we seem to do things that make no conscious sense and no matter how hard we try we are not able to talk ourselves out of them. You will learn how to harness the power of the subconscious and resolve inner conflicts. You will have the tools to model other peoples skills. Modelling is the fundamental NLP technology of how to acquire new skills. In this training you will learn two ways to model skills from others. This special credit crunch price for the NLP Practitioner Course with six months training is just £495. This really is the most exceptional value certified NLP Practitioner in the UK. It is this price because the current economic climate which demands you get paramount value for your money and because Communicating Excellence is dedicated to increasing the success of all people in our North East community. Three days per month, Friday-Sunday beginning January 2011. Only £495 Take Action and Book NOW! Click here for full details and to book your place on the Newcastle NLP Practitioner Training course. The process of generative change and opening possibilities to lead an even more meaningful and purposeful life is all about making connections between a goal or outcome and the inherent values, beliefs, purposes and motivations that are driving the outcome or goal. By abstracting or generalising the driving forces or ‘what does this actually get you’ in terms of the goal you can assist your clients in experiencing the real purpose or meaning of their goal. The concept is to balance the internal and external worlds so that neither one dominates so in equal measures a person leads a harmonious and balanced life. Think about this as doing some thinking as well as taking some exercise. Pretty simple right! It is simple, this is Yoga! Yoga IS a spiritual practice. Meditations to exercise the Mind as well as Physical activities to exercise the body. Remember one of the so called operational Presuppositions of NLP is ‘Mind and Body Are One System’. The seeming majority of NLP trainings will tend Strongly to works with mental and cognitive Elements of change yet not pay enough attention Towards the physical development aspects of change. Yet this still is only half the story. This is about much more than learning mental and physical controls and Disciplines. This is about what happens to a persons Psyche as a function of having the ability to run the Brain and Body in unaccustomed and new ways. Practically all current NLP training tends not to acknowledge let alone develop any aspects of Practitioners honest spiritual exploration and growth. Clearly this was not always the case. Both Bandler and Grinder were hugely influenced By the work of the Mystic Carlos Castaneda. They Did in my opinion attempt to integrate spiritual Disciplines and practice in the early NLP trainings. Looking at the co-creators now there is to me clearly a very strong bias on the internal worlds from Bandler and a very stron bias from Grinder on the external experiences. Now like UK schools, many ‘spiritual’ concepts have Been forgotten, swept under the carpet or Let go in some attempt to gain credibility, get recognition appease governments, seduce would be practitioners, Create ‘professional’ bodies, tap into management Institutes or educational institutions. The ongoing and current NLP Evolution, I believe Will see an emphasis on honest spiritual development For NLP Practitioners, and just as much a moving away From the ‘trendy’ tic box, academically accredited Nonsense for NLP Practitioner certification that surely Will do to to real NLP education what the GCSE system and bureaucratic government did to hopes of serious Creativity and independent thinking practice. It is predicted that the UK job market will stall this year. Research from the Chartered Institute of Personnel and Development states a full one third of employers expect to cut jobs in the next three months. This can read as a very scary and particularly worrying prospect if you have a family to support, a mortgage to pay and a life to live outside of worrying how to meet the bills if the worst happens. Many people buy insurance from the banks and building societies for things like job loss, ill health and a variety of other predicaments that can happen. These insurance policies depending on their type of cover and exclusions can certainly be on the expensive side. I know that when I was employed working in the software industry, I was paying out well over £500 per month in insurance alone. This covered my mortgage and a proportion of my wages in the event I lost my job or was unable to work. Now this policy ( on reading the small print ) would only come into effect for a maximum of 12 months for job loss. So there was a time buffer but sadly no magic purse that would pay all of my outgoings for more than 12 months. In short it was an illusion of security or a security buffer, and a very expensive one at that. What if you could look through the illusion of security of what you think you can get and see what you actually want? Think about it! There has never been any way to really guarantee that a job will be secure for life or that all of your bills will be paid. That kind of security is an illusion yet worrying about job loss, making ends meet and the dreaded ‘Yes But, What If …‘ scenario is extremely real in our present economic climate. Research indicates the people hardest hit in terms of job loss will be public sector workers because the government will shed good people to cut their wage bills that the public actually pay anyway. We can worry and blame this on the recent wars in the middle east, we can worry and blame the greedy bankers and governments that fuelled and fed the housing bubble before it popped. We can blame any and all but you can also choose to stop worrying and blaming and start to direct your attention onto what you actually want. A novel idea I know! It will be commensurate of the government to give any and all employees who’s job it will cut some kind of retraining or compensation package and it is how you use this that can determine your own relative security in the months and years to come. It is all too easy to concentrate on the problems we face to the point it will eventually immobilise and in worst cases lead to depression and ill health. Which could be good if you have an insurance policy, maybe good for only 12 months though! On the other hand how about exploring your options in terms of what you can do for yourself about your current situation and how to move into the future with more confidence in yourself and how you will feel? This is a golden opportunity to take a look at your life in terms of your wants, needs and expectations. A time to set some meaningful goals and a time to learn ways to run your own brain. To get out of patterns of negative thoughts and concentrate on what you really want to experience, achieve and do in your life. So here is the solution – Neuro Linguistic Programming Practitioner Training Course. The Newcastle upon Tyne NLP Practitioner training is not a therapy course per say, though all participants through exercises will become more confident, find higher self esteem and in general will be more able to live life in the ways that matter the most. It is a course that delivers the most effective life and communication skills you can learn. If you are interested in NLP Practitioner Training please read this : Choosing Your Training Provider. There has never been a time, now, more important to be investing in your future. NLP Practitioner Training’s in Newcastle upon Tyne begin in September ( 10 month ) and January 2011 ( 6 month ). They are lots of fun, you will make great new fiends and you will meet like minded people who are choosing to continue their personal and professional evolution. The word and meme ‘spirituality‘ is incredibly loaded and often misinterpreted. This term spirituality can be mistaken for religion and or new age mysticism yet in this context I attempt to define it here as neither. 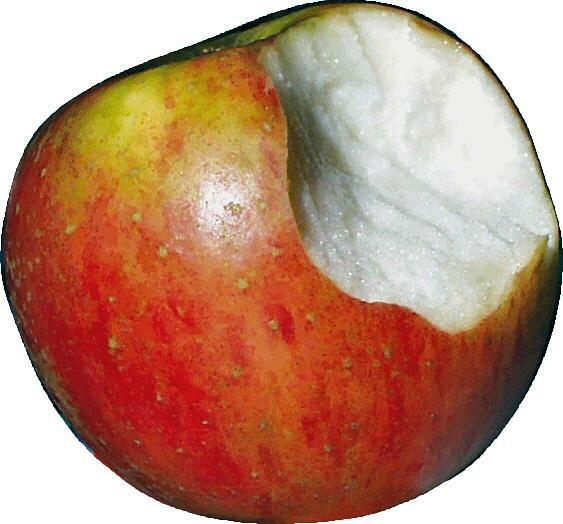 I want to introduce a concept that is a part of NLP just as much as this is a part of life in general; And by way of a story, a metaphor, here we go. The intention is a balanced life. In the Kundalini ( coiled ‘serpent’ power ) Yoga, intrinsic as with many Eastern spiritual systems there are the inclusion of Chakras or Padmas, which essentially mean energy centres. Now it MUST be understood that like the western concept of ‘mind’ a chakra is a ‘subtle’ substance. The chakra like the mind will not be found by a surgeon or MRI scanner. Interweaving through the seven chakras are two nerves which are also made of subtle substance. These are called Ida and Pingala. Ida may be thought to refer to the Lunar Consciousness and Pingala to the Solar Consciousness. Now you may well be asking or thinking what Is Lunar and Solar consciousness. Well one interpretation of Lunar in this context is death and rebirth, the way of living in your body, physicalised. An corresponding interpretation of Solar is eternal and divine consciousness, inexhaustible and likened to the internal meditations. So in essence, this can also be interpreted as the external and internal worlds experienced by all humanity, every woman,man and child. In a very recent article in The Journal the title is “28,000 public sector jobs to be axed – Tyneside will be worst hit”. In the current state of UK and North East England economic up and down turns it is becoming more and more clear that people actually need particularly effective communication tools, need ways and means to reach more of their goals and need sharper skills and ways to stay top of their game. NLP – Neuro Linguistic Programming provides a solid and robust foundation to communicate effectively, get your points across and how to better understand others as well as yourself. Continuing to be a valuable member of any team or making the decision to get a job that is both rewarding and satisfying are all about having the skills and the drive to live your life in ways that match your values and highest level desires. If you are one of the people who’s jobs will be axed, don’t you want the skills to help you to make a real career progression in what can be described as a very turbulent time? Many companies help their employees who they are choosing to let go by making training funding available. The Newcastle upon Tyne NLP Practitioner training is not a therapy course per say, though all participants through exercises will become more confident, find higher self esteem and in general will be more more able to live life in the ways that matter the most. Over the last two years many people deciding to do NLP Practitioner training have been funded by their companies as part of their redundancy package and while there can never be solid guarantees that NLP will make you land your dream job, the NLP Practitioner will give you enhanced communications skills and extremely reliable ways for you to move towards getting the kind of job or career that you want to do. Creative Block can effect anyone. Creative Block, Self Doubt and Lack of Motivation are not exclusive to writers, poets, scientist’s and the self employed. From time to time the vast majority of people quite literally lose their way. This is predominately due to emotional turmoil and a failure to truly believe in themselves. In a recent BBC article the use of Hypnosis is shown to be used effectively to remove Creative Block and help people to return to serious productivity. Read this BBC article on how hypnosis has been used effectively to remove Creative Block. With a powerful combination of hypnosis and physiological techniques you can rediscover the motivation and drive that can propel you back into being your real creative and productive self. Contact me for details of how I can help you return to your very best top form! This is both a self hypnosis exercise and equally a way to evolve how you perceive your worlds. There is one very important sentiment I want to briefly explore before offering you a self-hypnosis exercise. The wondering man left and went on to look for another village. The wondering man decided to stay and made a home for himself. Another way of saying this is what the mind expects tends to be found. Hypnosis is a way of purposefully altering our own perceptions in powerful ways. Here is the exercise. This comes from one of Carlos Castaneda books describing his relationship with his mentor Don Juan. Its about purposefully altering perceptions, this is just one way hypnosis, an altered state of perception can be attained. This exercise takes 15 minutes to do it properly. Practice once per day for just one week. Find a bush or shrub that you can see, that is both in shade and in the light. Concentrate your visual attention on just one specific spot that is in the shade. Focus on it entirely. For the next 15 minutes focus just on that one spot in the shade – until you begin to see a bush that is entirely made out of shadow. Notice that the shadow is at least 50% of the bush. You need to do this in the form of an exercise. A ‘theoretical’ knowledge of this is not enough. If you want to learn to alter your perceptions and reality – DO THE EXERCISE!